AÂ night from hell last night foxesÂ in the garden meant two barking crazy dogs and with a schedule like mine at the mo itâs not so good. Anyways enough about my problems they are vast and I will bore you all to tears. One of the hardest things to source as a buyer is coffee tables they are either way to expensive or cheap and bland, which is a big problem as coffee tables are integral to a scheme as they add another visual note of interest and when heaped with books, candles, lamps etc. look beautiful. I have two tricks up my sleeve I really should aim for more but here is what I do. I hunt out old brown furniture fromÂ charity shops, flea markets, eBay, auction houses they almost can’t give them away. The key is to forget aboutÂ the brownness and look at the shape. Next trick spray it either take it to a car sprayers (call in advance and don’t just rock up as I once did) or spray yourself with something from a DIY store. Yes the finish is not so fabulous but on a small occasional table it tends not to bother me. Next trick think about alternative items as coffee tables, apple crates upturned look fab if you fancy a rustic vibe, as do suitcases. I look out for old drums as you will see below – I love love love the texture. 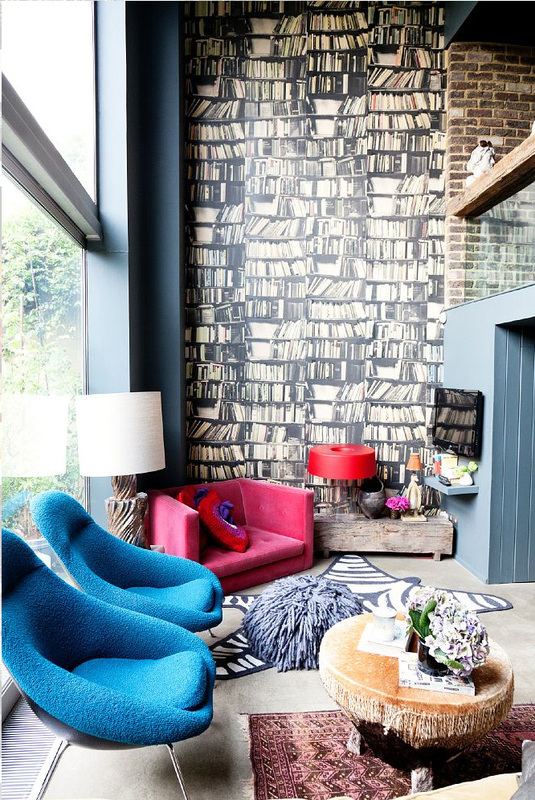 Its also worth mentioning the more round pieces you can add to a space the more intriguing it will become as it will break up all those straight lines in a the room. It never ceases to amaze me how neglected circles are in a design – its such a simple simple trick and yet often times ignored. Vases, mirrors, tables, lamps, rugs circular in design will I promise you bring your space alive. An old trum converted to a coffee table in my pad. Simple hey – gotta dash have a train to catch to the other side of the earth and am behind schedule already and its not even 6am!